Some of these experts and innovators contributed to the recently published book Agents of Alternatives: Re-designing Our Realities. Indeed many contributors to this book directly or indirectly reference ‘alternative economies’, a topic we’ve addressed in this blog. In asking ‘What can design(-ing) contribute?’, we would point you to our open source designCapitalia cards, launched at the Open Knowledge festival in Helsinki in 2012. These cards help think about diverse hard and soft ‘capitals’ and ask which ones do we wish to grow, nourish, maintain or dimish. 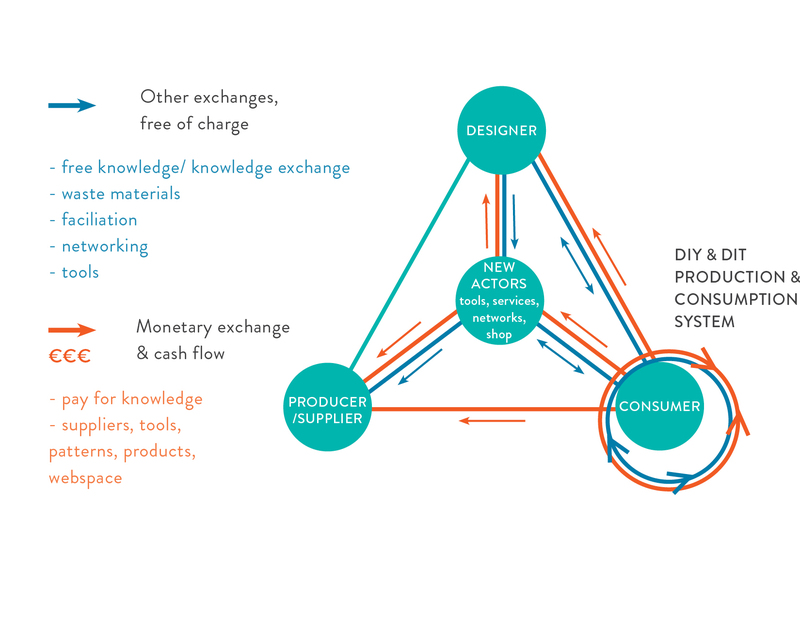 In 2013, using fashion and clothing as a vehicle for exploring alternative ‘value propositions’ through Mode Uncut, Anja-Lisa Hirsher and I proposed ways of ‘seeing’ other forms of exchange between designers, producers/suppliers, consumers and other actors (Figure 1) (Note 1). We also developed the ‘open-o-meter’ as a means to ask which parts of a design might be ‘open’/’closed’, paid for/free (Figure 2). Figure 2. 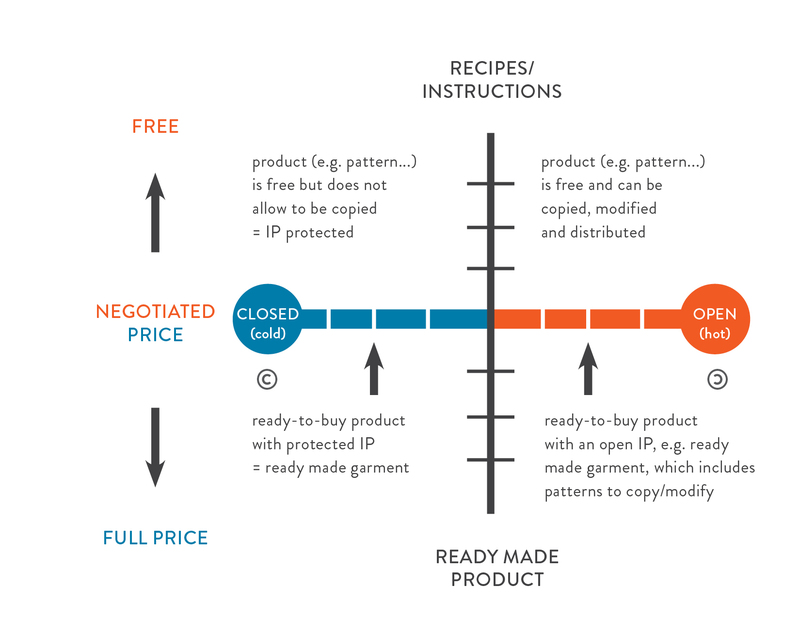 The Open-o-meter showing IP and pricing options. And we mapped different ‘types’ of economy, based upon commonly used adjectives to describe the economy, asking how design could make a contribution (Figure 3). 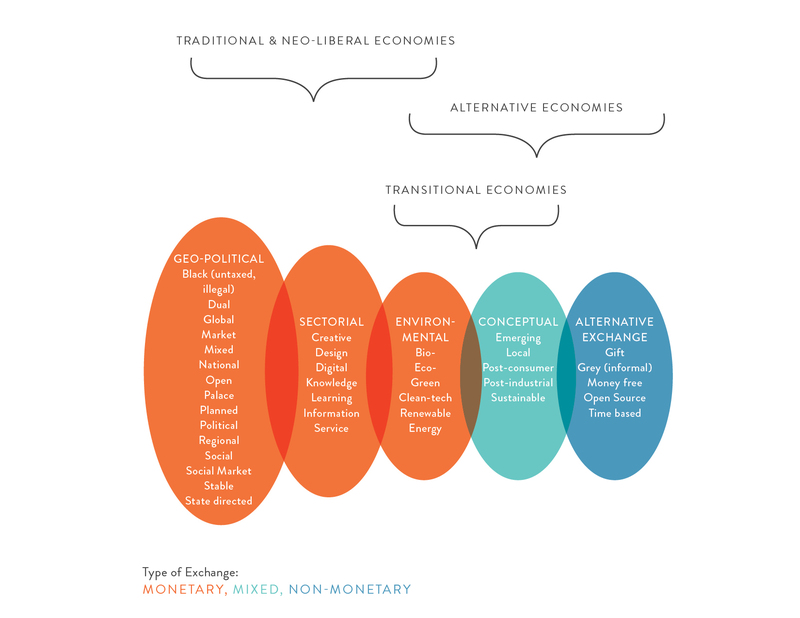 Traditional & Neo-liberal, Transitional and Alternative Economies. Looking at the diverse agenda of the OSCE event I would suggest the ‘Open Source Circular Economy’ could act as a way to ‘bridge’ between the transitional/alternative and the traditional/neo-liberal economies. The opportunities for designers here seem particularly rich. For the last two years I’ve been running the Joint Masters Introduction Course at Dept. of Design, Aalto ARTS, Aalto University for 120-140 new postgraduates where we’ve been exploring themes of openness and collaboration. The students work in teams and, at the end of the 7-day course, do a ‘pop-up’ public event. You can see some of the ‘outputs’ on Open Market of Experiments and, hopefully, feel the enormous positive energy generated by these activities. This year’s theme in September is ‘design practices in transition’. So, we wish ‘good luck’ to the people at this week’s Open Source Circular Economy event and hope it attracts lots of designers and creative professionals and citizens alike! Note 1: Hirscher, Anja-Lisa and A.Fuad-Luke. (2013) ‘Open participatory designing for an alternative fashion economy’, pp.172-197, in Niinimäki, Kirsi (ed. ), Sustainable Fashion: New approaches, Helsinki, Finland:Aalto ARTS Books. ISBN 978-952-60-5572-5. You can download a free pdf here.